'At Your Leisure' including broadcasting from Southside Radio at the JCUH. Freya North's best selling novel 'Secrets' is set in Saltburn. Andrew Martin's Jim Stringer novels are a series of historical detective novels set in the early Twentieth century, and featuring a railwayman turned railway policeman called Jim Stringer. The novels progress chronologically, but can be read in any order. Murder at Deviation Junction is set around the Whitby-Middlesbrough line. Take some time out to listen to some Blues with local Blues fan and Blues Club promoter, Harry Simpson. Southside Broadcasting has a main studio situated in the James Cook University Hospital, Middlesbrough and provides a free Hospital radio service via Hospedia Channel 1 which also includes regular transmission of services from the Chapel Of the Good Samaritan within the Hospital. Other than this it has no connection whatsoever with the management or activities of the James Cook University Hospital. SouthSide is staffed entirely by professional volunteers who aim to provide a first class service for patients and staff alike - informative, entertaining, friendly, and well worth listening to. Pull up a chair, sit down and chill out to some easy listening with Harry who says this is something a little different to his usual blues stuff although sometimes some blues are included. A little something for everyone. Enjoy. In which Alex Lewczuk and author Jennie Finch take an audio promenade through the streets of Saltburn's acclaimed Food Festival and go from The Book Corner to the heart of the town with guest features from premier writer Anne Fothergill, The Mayor of Redcar and Saltburn, local arts groups and campaigns concluding with some thoughts from award-winning chef Peter Sidwell. In which Alex Lewczuk explores the Book Corner Shop www.bookcornershop.co.uk in Saltburn, finds out about The Weakest Link trilogy and goes on an audio promenade with author Jennie Finch encountering Vintage Photographers, top caterers and Tibetan Terrier rescue dogs along the way. An original audio drama written by Pete Thomas based on his post-graduate research and produced by Richard Pink and featuring Dawn Ivison in the lead role receives its Southside premiere. In which Alex Lewczuk does some pre-lift show warm-up interviews with Town Crier Sharon Wilson, Marketing Assistant Linda Chilvers, Broadcast Assistant Jodie Orton, Head of Cultural Development Zohrah Zancudi and Ukelele playing engineer Paul. 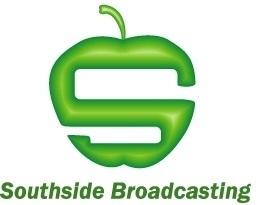 Southside radio station hit the airwaves for eight hours on Friday 1st July 2011 - and made a new world record. The station, which serves James Cook University Hospital in Middlesbrough, took over Saltburnâ€™s cliff lift to carry out the first interviews in history to be conducted in a water-powered funicular. Residents, traders and visitors were invited to take part by talking to managing director and DJ at the station Alex Lewczuk while travelling in the famous carriages. The special show, which included a variety of musical entertainment - including the group Ee By Drum - was all transmitted back to the hospital and the proceedings were watched over by the Guinness World Record official for the day, Councillor George Dunning. Saltburn author Jennie Finch introduces us to Probation Officer Alex Hastings in these stunning crime fiction novels. Buy them online, or better still visit Book Corner to get your copy. Saltburn born author Rick Lee visited Book Corner to sign copies of his latest book, 'The Rain it Never Stops' on August 27th. Rick's third book, 'Some Dance to Forget' is set in and around Saltburn. Copies of all his books are available in the shop.